Home › Our Services › Injured at Work? In Victoria, if you are injured in the course of your employment, you may have an entitlement to compensation under the WorkCover Scheme, regardless of who or what caused the accident. In some cases, a lump sum of compensation depending on the nature and extent of your injury. It goes without saying, but each case is unique and that’s how we will treat your case at Fortitude Legal. Having said that, there are some uniform procedural and practical steps that need to be taken in all WorkCover claims. The below is an informative guideline of the process of lodging a WorkCover claim. An injury must be reported to your employer in an approved form within 30 days. Failure to do so may preclude you from receiving compensation. There is discretion to extend this timeframe in special circumstances. For weekly payments of compensation, a Claim Form must be lodged with your employer as soon as practicable after the incapacity arising from the injury becomes known. Arrange an appointment to see your General Practitioner as soon as possible. You should give your General Practitioner a clear history of how you were injured and the nature of your injury. Remember, you have a right to attend your own General Practitioner and do not have to attend one selected by your employer. It is important to get expert legal advice as soon as possible, whether you have lodged your WorkCover claim with your employer or not. At Fortitude Legal we are in your corner and we are here to assist you. We will let you know where you stand. Make an appointment to speak to us at your convenience. This appointment is obligation free. We are happy to meet you at one of our offices, at your home, at a location of your convenience or speak to you over the telephone. You will be put at ease instantly by our Team’s ‘down to earth’ nature and approach. You can expect to be provided with advice as to the law, your entitlements, the legal process and a full disclosure of our fee arrangements. There will be no pressure placed on you and you will be able to make an informed decision either way. On choosing to proceed with Fortitude Legal, we will immediately take steps to activate your compensation entitlements if that has not already taken place. We will ensure you understand and are receiving the full extent of your entitlements, including medical and like benefits and weekly payments of compensation. At Fortitude Legal we do not hesitate. We will quickly write off to your WorkCover insurer and obtain a copy of your file and any information relevant to your claim. After taking detailed instructions from you, we will work out what additional evidence may be required and seek to preserve this evidence before it is destroyed, or in the case of witnesses, before their recollection fades. We will also commence obtaining your medical records and reports as well as your pay and tax records. We will then formulate a strategy personalised to your claim and will decide upon any expert witnesses that may be required (ranging from medico-legal experts to engineers and safety experts). To assist us and the WorkCover insurer for your employer to understand the full nature and extent of your injuries, it is necessary for you to attend independent medical examinations with medico-legal doctors. These examiners must be independent and have the appropriate qualifications to assess you in accordance with the requirements of the WorkCover system. These examiners do not treat you and their role is to provide reports that assist both us and the WorkCover insurer. This is not to say that your treating medical practitioners are any less important, as they in fact are paramount in providing you with treatment but also in providing us with medical reports from time to time. Medical reports are used to establish various matters such as: the history of your injury, the diagnosis of your injury, the treatment you have undergone and will likely require, the prognosis, your capacity for employment and rehabilitation and any pre-existing medical conditions. From time to time WorkCover insurers will make decisions concerning your entitlements that you will be unhappy with. We are here to provide you with legal advice as to whether each decision is correct and if not, the method in challenging the decision. 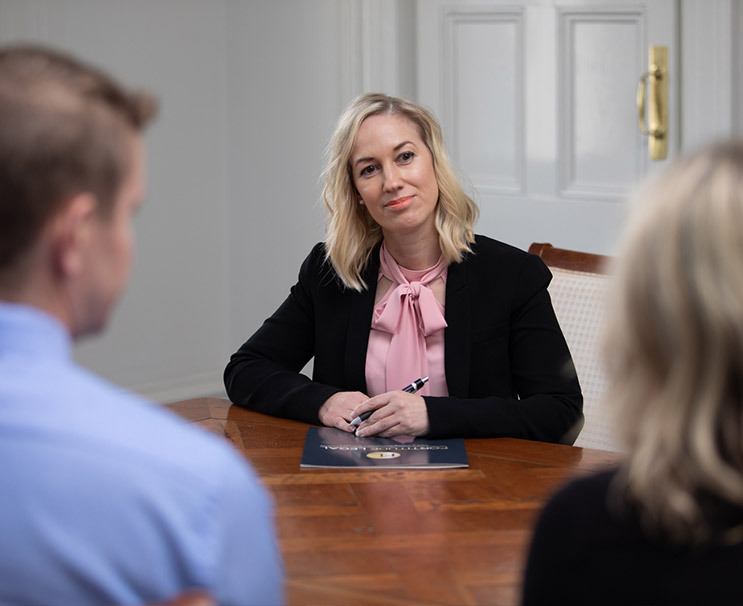 We will guide you through the Accident Compensation Conciliation Service process and take steps to commence legal proceedings at Court if the need arises. At Fortitude Legal we pride ourselves on expertly and thoroughly preparing and presenting your claim to the other side, as we want to give you the best opportunity to resolve your claim without needing to resort to Court proceedings. As a result, due to our skill and expertise a significant number of WorkCover claims can be satisfactorily resolved without proceeding to Court. However, each claim is unique and sometimes there are issues with the evidence which means the claim may need to be tested in Court. We will provide you with honest, clear legal advice about the merits of proceeding to Court and the risks involved so you can make an informed decision. At Fortitude Legal we genuinely care how you fare into the future, even after your compensation claim through us has been dealt with. As a result, if in the future the WorkCover insurer makes any decisions impacting your entitlements that were not dealt with in your lump sum claim(s), we are more than happy to provide you with assistance. The scheme surrounding workers compensation and your entitlements is complex and there are strict time limits that apply. It is important that you get appropriate legal advice from the outset to ensure that your rights are protected. If you have a query, please do not hesitate to contact our expert Workers Compensation Team for a no obligation chat.